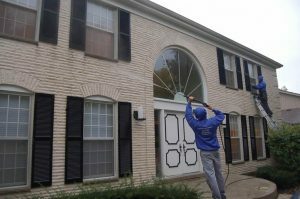 Crystal Clear Window Washing, Inc. is Chicago and the surrounding areas’ premier window washing business. It was established approximately 13 years ago. We focus our business on servicing residential, as well as commercial and industrial, window cleaning for buildings of any size. Our central rationale has always been to provide our customers in Chicagoland with excellent services, as well as fair, economical prices in a judicious and sensible manner. Crystal Clear’s database contains over 10,000 satisfied customers and we guarantee our work and never fail our customers. We carry full liability insurance, and all our employees are bonded. Furthermore, Crystal Clear’s employees are well-trained and highly-proficient professionals. Windows let in light, keep out the weather, and, if you’re lucky, provide you with beautiful views of the outside world. But when your windows are dirty, they can really detract from the overall look of your home, inside and out. While many homeowners have tackled the task of window cleaning on their own, the benefits of professional window cleaning are more significant than many would expect. When you consider the advantages of hiring specialists from Crystal Clear, most will agree that professional window cleaning is well worth it. Just as professional detailers can bring a showroom shine to any vehicle, professional window washing is likely to leave your windows looking better than you ever imagined. 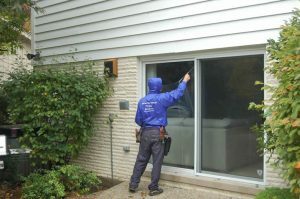 Most able-bodied homeowners can wash their own windows, but when you compare the equipment, specialty cleaning solutions, and hours of experience the experts at Crystal Clear bring to the job, it’s easy to understand why so few homeowners produce the kind of results you get from our trained crew. With tasks like window washing, Crystal Clear’s professional results always look better! When you measure the cost of having the experts at Crystal Clear clean your own windows against the cost of you having to invest in all the professional cleaning solutions, static-free rags, squeegees, extension poles, ladders, and other equipment you will need to get the same results, it makes the added cost of paying for window washing seem much more reasonable. Couple the equipment expenses with the amount of time you’d need to spend to finish the job, and the cost of professional window cleaning is actually quite inexpensive! When you contact the professionals at Crystal Clear, you are getting a team of highly-trained experts to wash your windows, and get the job done efficiently, effectively and without spots or streaks. Don’t take chances and risk injury when you can call the window washing professionals at Crystal Clear who possess the specialized equipment and the skilled know-how to wash your windows quickly, efficiently and safely. As with any window washing project, Crystal Clear professionals have the ability, experience, manpower, and equipment necessary to get the job done. Also, one of the nicest extras of professional window cleaning is that we also offer: air duct cleaning, power washing, and gutter cleaning. By having several tasks completed during the same visit, you’ll most likely save yourself time, hassle, and money! Call Crystal Clear today to set up an appointment. We’re anxious to get started on treating your windows to the best washing they have ever had! We do offer Free Phone and On-Site Estimates, Rush Service and Weekend-Service. No job is too small or too big for Crystal Clear Window Washing, Inc.